In April 2016 the government introduced a higher minimum wage rate for all staff over 25 years of age inspired by the Living Wage campaign - even calling it the ‘national living wage’. However, the government's 'national living wage' is not calculated according to what employees and their families need to live. Instead, it is based on a target to reach 60% of median earnings by 2020. Under current forecasts this means a rise to less than £9 per hour by 2020. For under 25s, the minimum wage rates also take into account affordability for employers. The real Living Wage rates are higher because they are independently-calculated based on what people need to get by. That's why we encourage all employers that can afford to do so to ensure their employees earn a wage that meets the costs of living, not just the government minimum. You can read our response to the announcement about the minimum wage increase here (April 2015). The real Living Wage is the only UK wage rate that is voluntarily paid by over 5,000 UK businesses who believe their staff deserve a fair day's pay for a hard day's work. 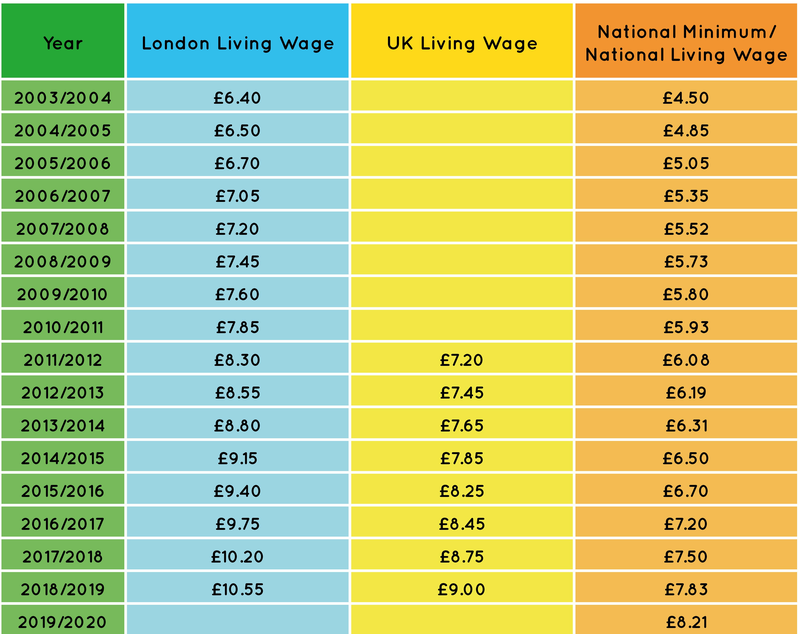 Our employers pay the real Living Wage which is higher than the government minimum - they also make sure all their employees in London receive the London Living Wage. 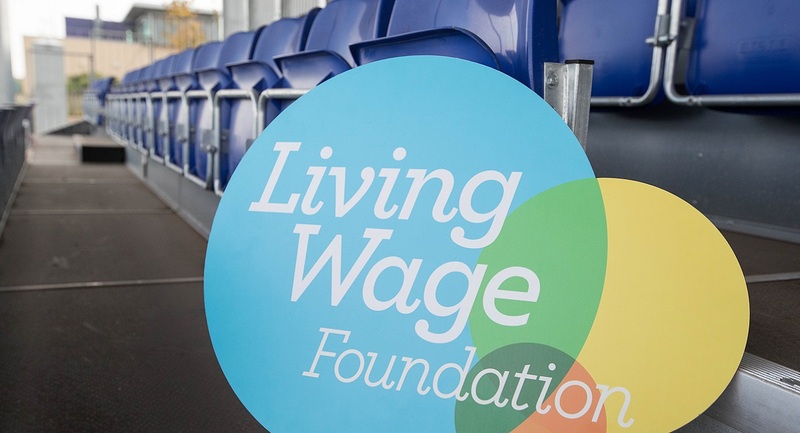 In 2016 the government introduced the National Living Wage - while we at the Living Wage Foundation welcome this pay rise for low-paid workers, it is not a Living Wage as it isn't calculated based on actual living costs. Over 180,000 employees have received a pay rise as a result of the Living Wage campaign and we enjoy cross-party support. We have a broad range of employers accredited with the Foundation including 1/3 of the FTSE 100 and big household names including ITV, GOOGLE, IKEA, Everton FC and Chelsea FC. The rates are announced on Monday of the first week of November each year. Employers should implement the rise as soon as possible and within 6 months. All employees should receive the new rate by 1st May the following year. What does the real Living Wage mean to you? Video of What does the real Living Wage mean to you? There are over 5,000 accredited Living Wage Employers including 1/3 of the FTSE 100 and big household names like IKEA, ITV and Everton FC.